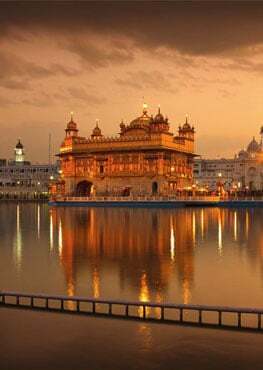 Dear Waheguru, You always taught us to forgive, because You are in all creatures, in all living beings, so help us to be willing to forgive ourselves and to forgive one another. Help us to love and to learn how to accept to be loved too, help us to give and receive the best of ourselves! As we begin a new year, remind us of our truest values and our deepest desires. Help us to live in the goodness that comes from doing what You want us to do. Help us to put aside anxiety about the future and the past, so that we might live in peace, with You, now at the present time. May you, Waheguru, make our New Year a happy one; ,not by shielding us from sorrow and pain, but by strengthening us to bear it if it comes. Not by making our path easy, but by making us sturdy enough to tread any path. Not by taking hardship from us, but by taking all cowardice and fear from our heart's as we meet hardships. Not by granting us unbroken sunshine, but by keeping our faces bright even in the shadows. Not by making our life always pleasant, but by showing us where men and His cause need us the most and by making us zealous to be there and to help! Waheguru, make our year a happy, blessed and auspicious one.